The Cavalier really should be called the Laughing Cavalier, after the painting for, were I an owner, I would be laughing all the way to the bank on the fuel saved, so frugal is the turbo diesel engine. In recent years diesel has become much more attractive as an engine option. Expanding beyond it’s original role as a power source for trucks and buses, it has many features in it’s favour for cars of all sizes, most notably, better fuel consumption – typically 20%-30% better than an equivalent petrol engine-, fuel which is invariably cheaper- typically 10 % to 15% lower cost -, is more environmentally acceptable as it runs cleaner and the latest generation of small capacity diesels are simply more reliable, far fewer parts to go wrong than with petrol engines. All these factors explain the rapid increase in sales of diesel cars in the U.K., to nearly twelve per cent of total sales, which is still less than most European countries where the fuel cost differential is even more favourable. The latest turbo diesel engines can produce 95% of the power of an equivalent petrol engine without losing any of the other diesel benefits and are the best available compromise between performance and economy. Vauxhall have recently announced a staggering increase in their sales of diesels, up 124 % over the first half of 1991 in fact more sold so far this year than in the entirety of 1991, indicative of a huge overall increase in the sales of diesels this year, the market up a 61 % on the same period last year. 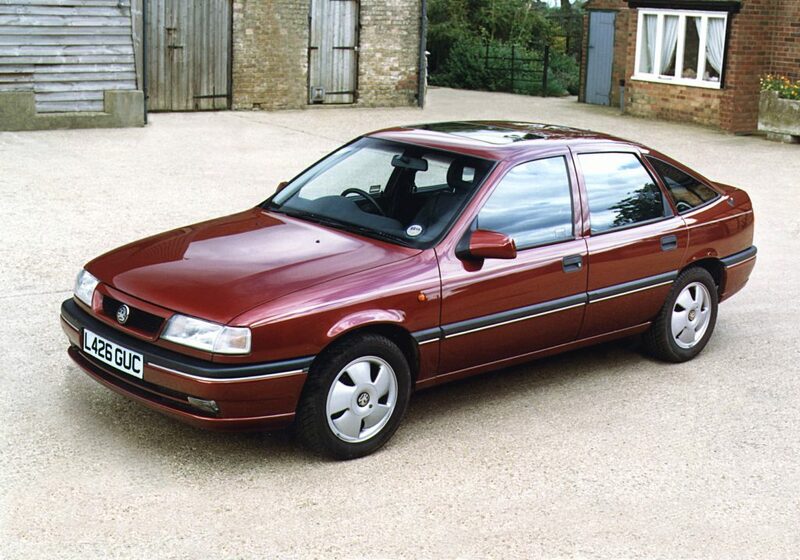 But what of the Cavalier itself, well, I have always thought it to be one of the better looking saloons in it’s class and feel it is frequently unjustly derided as a rep’s car, particularly as it’s sales figures this year make it Britain’s second favourite car. A tidy wedge shape, curvy panels with good aerodynamics and that pronounced Vauxhall family image, all with good interior space and a voluminous boot. The interior is well trimmed and comfortable with good, supportive, seating and a workmanlike dash containing very clear instrumentation and easily reached, shape coded, controls. At this mid level of trim, the car is well equipped with a manual sunroof, central locking, power front windows, electric mirrors, an excellent, 6 speaker, RDS stereo, tilt adjustable steering, and a catalytic converter. Power comes from a very sprightly, turbo diesel, 1700 cc engine offering 82 b.h.p., an engine which is both refined and quiet yet free revving, offering good performance, no embarrassment at the traffic lights, excellent mid-range punch in the gears for safe overtaking and enormous pulling power, the catalytic converter assisting in quelling the clatter commonly associated with diesels but absent in this case. A surprisingly – to some – lively and enjoyable drive well matched to a notchy 5 speed gearbox, the lever falling well to hand and with well chosen ratios. The turbo diesel engine is well set to be the powerplant of the nineties and the Cavalier TD is one of the best examples of the breed.If you’re looking for a well rounded performer with excellent fuel economy, then the capable Cavalier must be near the top of your shopping list.